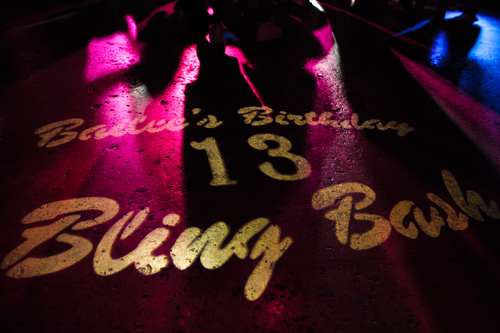 If there’s one event design trend that doesn’t look like it’s going anywhere anytime soon, it’s custom gobo light’s. These little light fixtures can easily fill up even the emptiest of spaces from walls and dance floors, to venue entrances, sides + tops of buildings, and even on the lower side of the Pedestrian Bridge in downtown Nashville! They’re customizable to any event type, logo, mascot, names, monogram design and text. They’re also ideal for all event types from weddings and corporate, to birthday parties, grand openings, and private celebrations! 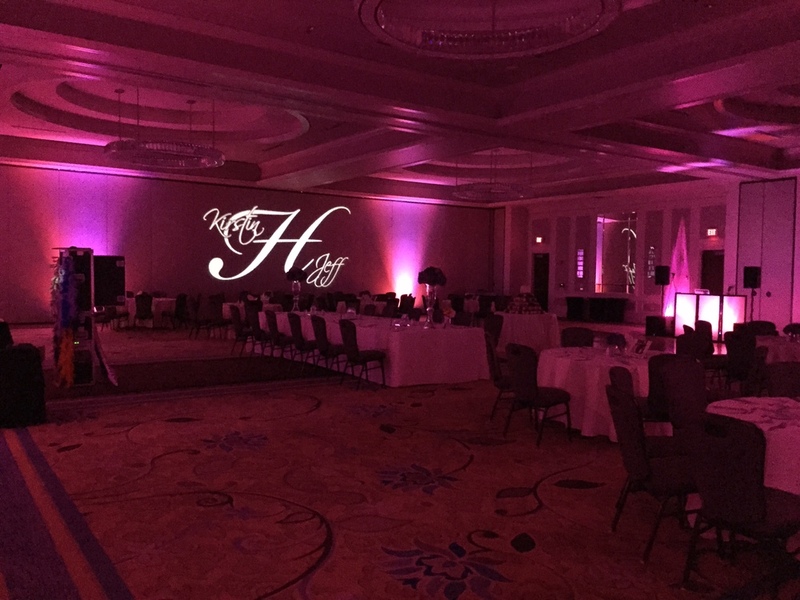 Combining our wireless, LED uplighting with a gobo light really helps to showcase the design. Snyder Entertainment offers these light fixtures as bundled items in two of our packages, our Gold + Platinum. 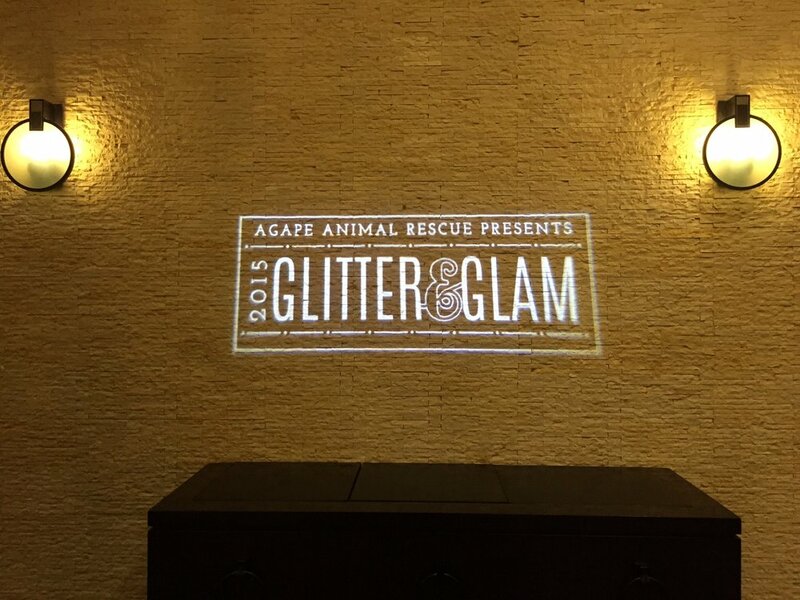 We also offer custom designed gobo’s at an al carte price that can be added onto any of our packages or selected service options! We do supply clients with a large portfolio of curated gobo designs for monogram + text options, but if you would rather have a custom monogram design crafted especially for your upcoming event then our graphic designer, yours truly, can also provide that for a small additional fee of $35, which includes two design proofs. If you’re interested in learning more about our gobo lights or other custom lighting options, then please contact us today. We look forward to connecting with you soon!